It can difficult organising a family holiday filled with fun and adventure for your children. Holidays can be expensive, so ensuring that you choose the right holiday that best suits is important. Below are different holiday destinations that you and your family may consider as your next holiday. Don’t want to venture too far? Why not stay in Australia and explore one of the best states for family fun. The Gold Coast offers many great attractions for children and adults of all ages to enjoy. 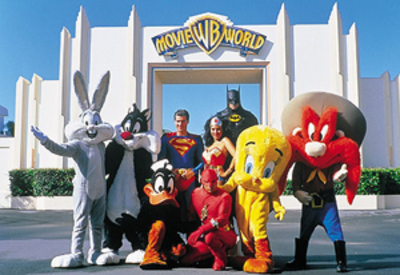 They include, Sea World, Wet n Wild, Movie World, Dreamworld and Australia Zoo. There are many great deals when purchasing tickets. Why not speak to your travel agent, or click here to check out theme park tickets and specials online. Ready to venture out of Australia? California, USA is a great place to take the kids. There are so many attractions but the most popular is Disneyland. Disneyland is known to be the happiest place on earth where all your dreams come true. Not only will the children love it but adults will love this destination too as it will bring out their inner child. 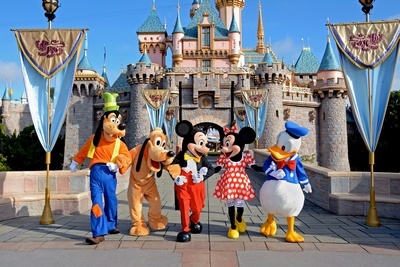 Disneyland is located in Anaheim, which is situated 45 minutes for Los Angeles. It is highly recommended to stay in Anaheim, as you will need a minimum of 3 days to enjoy Disneyland to it’s fullest. Another great attraction to visit while in California is Universal Studios. Located 30 minutes from Los Angeles, this is a great place to visit if you are into movies and television shows. If you and your family are interested in wildlife, San Diego Zoo and Sea World are the places for you. Located over 2 hours from Los Angeles, it is also recommended to stay a few days in the city. While you are staying in San Diego, why not drive 40 minutes to explore Legoland, a theme dedicated to children filled with rides, shows and workshops. There are so many great theme parks to see and enjoy in California. The children will absolutely love this holiday. Keep in mind that it may be very tiring, so ensure you spend enough time in town. Bali is a well-known destination for people who like to party, however it is also a great location to take the family. There are so many wonderful family friendly resorts that are extremely affordable. A well-known resort for families is the Bali Dynasty Resort. This four star resort is ‘kids paradise’ filled with water fun and hours or entertainment. There are lots of activities including beach & water volleyball, video games and movie nights. July and August are the busiest times, so it can cost a little bit extra. If you are looking for a great deal, travel to Bali in March or October. The weather is usually tropical and mild all year round between both wet and dry seasons. You can have a ten-night stay with airfares and accommodation for a family of 4 under $4,000. If you are interested in any of these destinations, see your local travel agent or click here to read about booking your holiday solo.